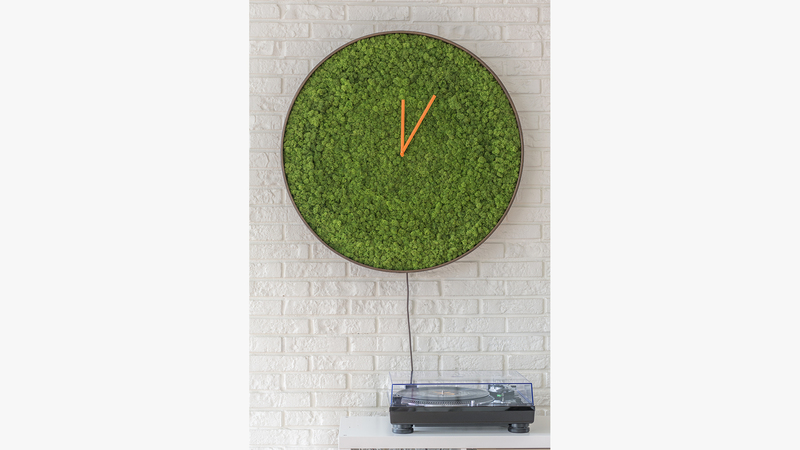 The Moss Clock is a timepiece which questions the value of our time perception and the coexistence of a man – made objects and nature. 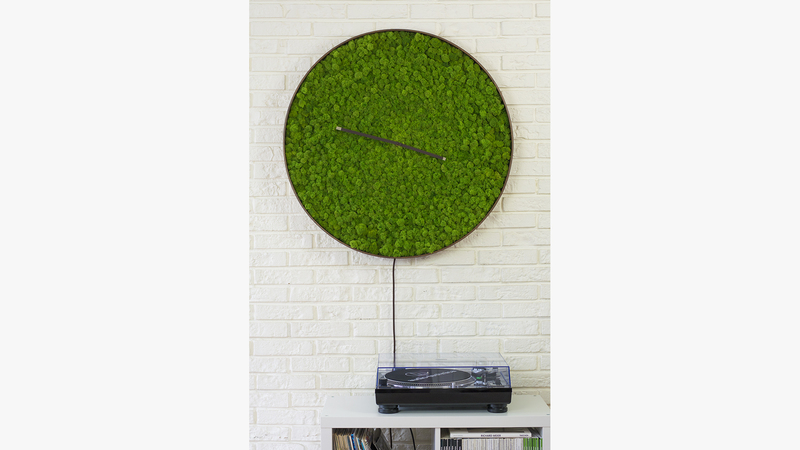 It adds a poetic meaning to any interior space. 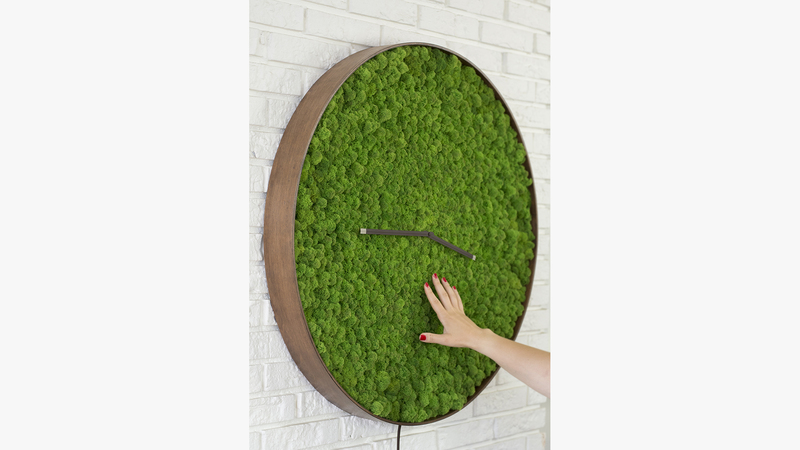 The clock brings a fragment of nature inside the house without any need of maintenance. 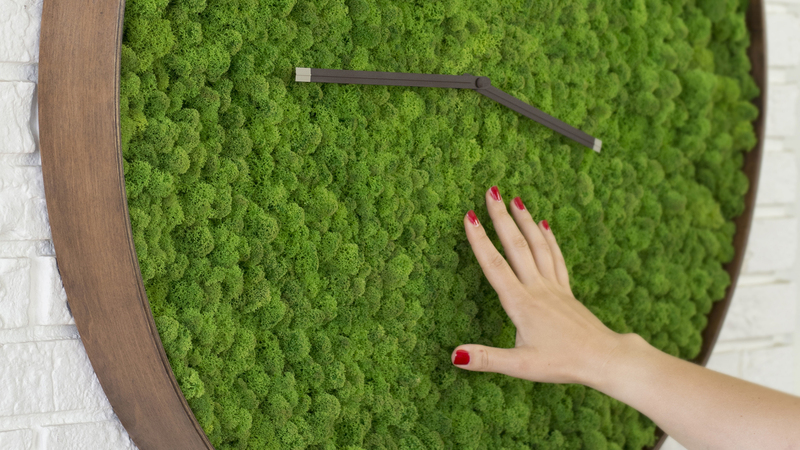 It contains real reindeer moss which has been meticulously selected by hand. 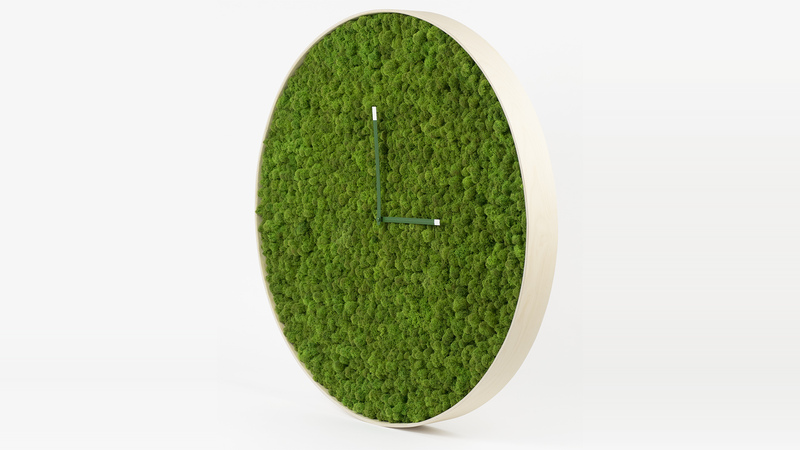 Due to our unique preservation method the moss requires no water. Think of it as a dried flower except for the sponge – like properties of the moss, it stays flexible and squishy at all times. 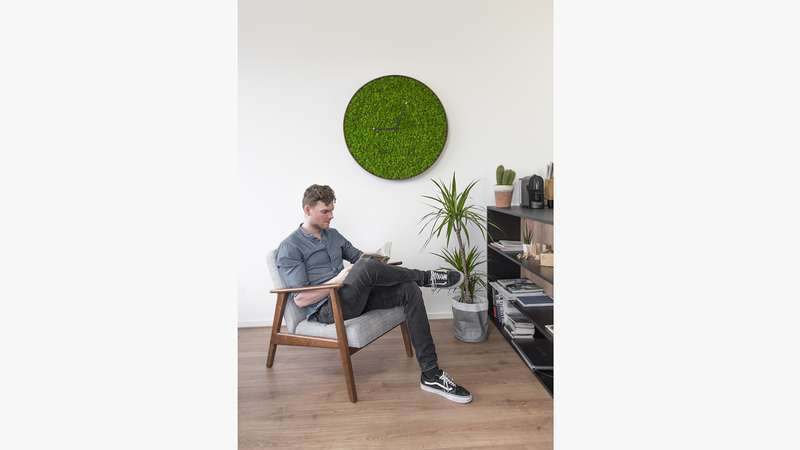 The frame of the clock is entirely handmade of Baltic birch plywood. Wooden stripes of 1.5 meters in length are steam bent. There are two connection lines (top and bottom) on the clock’s ring to keep it visually seamless. Available in two wood finishes: dark brown and bleached birch. The power cord can be hidden underneath the frame or left exposed, it’s available in any color and length upon request. Standard length: 3 meters. Diameter: 82 cm / 32 inches. Clock mechanism – electric, 220V. 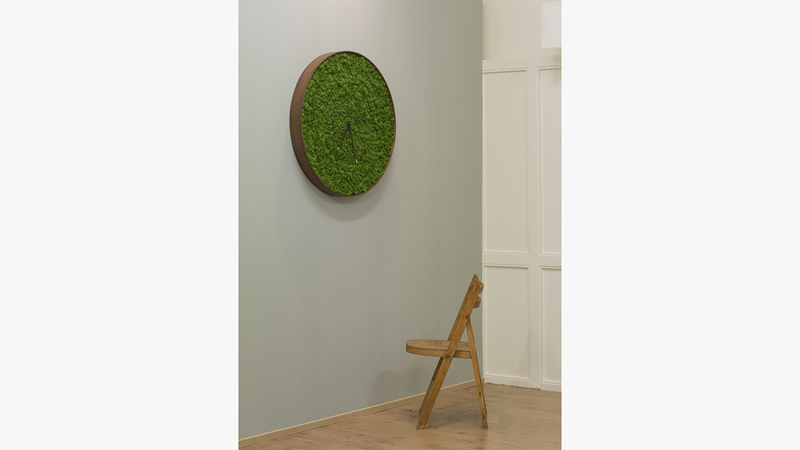 Available in sizes up to 1.5 meters in diameter.